Remember my Prospective Mothers post? Don’t worry if you don’t, they all died. This guy was doing well for a while. He was a blob I found in a bottle of vinegar I had in my pantry. Alas, it was a short life. Today I took him out of the pantry to feed him and he was covered in mould. Not a good look. Here is the photo I took last November. The jar on the left is Bragg apple cider vinegar and local apple cider. The jar on the right is Bragg apple cider vinegar, red wine and water. The top photo is the apple cider vinegar today. It is doing very well, I have replenished it twice now and harvested two small bottles of vinegar. The red wine vinegar is also alive but it is a little slower than the cider vinegar. These two jars are the only success I have had from all my experiments. I followed the instructions from this site. They advised, if you are lucky enough to know someone who has a vinegar plant going, all you need to start is some natural vinegar from their plant. If you are not so lucky use commercial unpasteurized, unfiltered vinegar. Since I didn’t know anyone with a plant, I used Bragg’s vinegar. 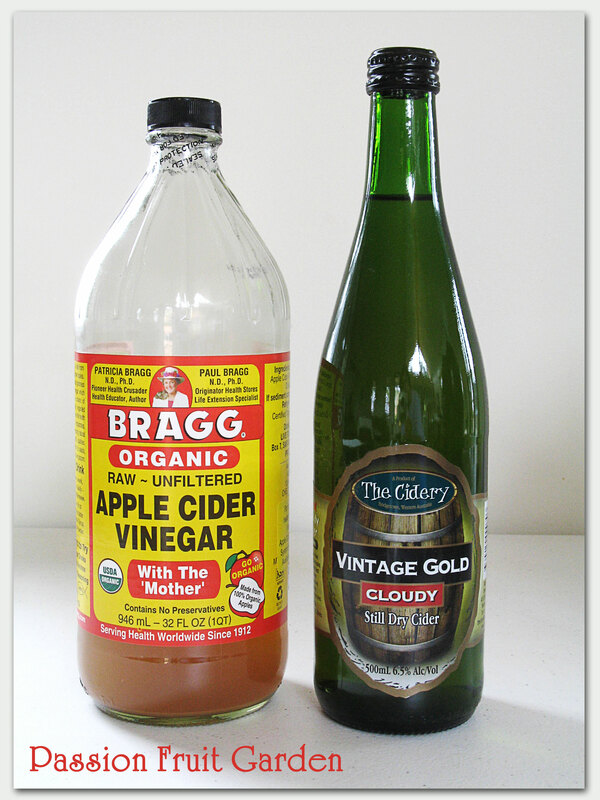 Bragg’s is the only brand of raw unfiltered vinegar I am aware of but I am sure there are others. It is an American brand but is readily available in Australia at health food stores. I bought mine locally. 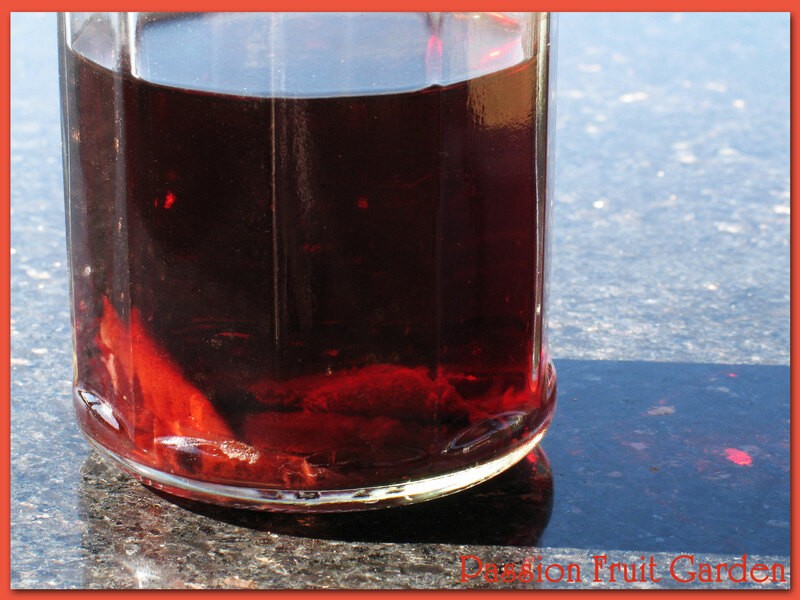 To the natural vinegar add an equal quantity of apple cider or wine & water (⅔ wine, ⅓ water). Give it a really good stir, put in a couple of strands of dry spaghetti (according to the site, the bacteria like breeding on the spaghetti). Cover with cloth and wait. The cider I used is made with real apples and has no additives, preservatives and sulphurs. The wine was some red Maus didn’t like. Making vinegar is something I have always wanted to do and these are the first steps in what I hope will be a productive journey. The vinegar you produce is raw unfiltered and will contain some mother and is reportedly very, very good for you. If you do a “google” search you will be amazed at all the health benefits that are attributed to it. Many take a spoonful a day for medicinal purposes. Lisa from the Gourmet Wog starts her day with two tablespoons of Bragg vinegar mixed into a glass of cold water. 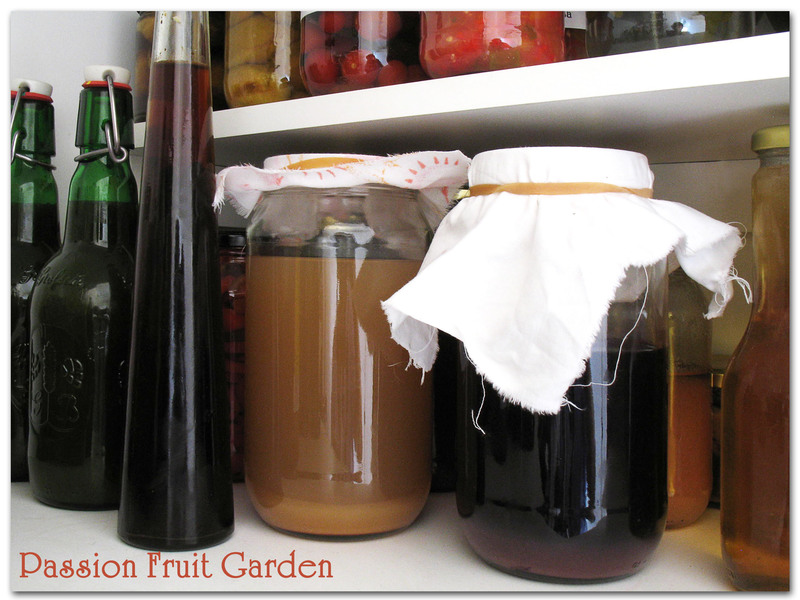 This entry was posted in Homemade Produce, Vinegar and tagged How to make a vinegar mother, Vinegar mother by Glenda. Bookmark the permalink. Ah, Anne Wheaton took the words out of my mouth – I too envision you in your white lab coat, lab bench with beakers & stuff bubbling away. Not sure I could take a spoonful of vinegar no matter what the health benefits are though. I did once take a swig of wine that might as well have been vinegar & did all I could to not spray that out onto the tablecloth. Wow! I love your kitchen experiments, it must be quite a buzz when you hit the jackpot. Fascinating, Glenda. I’m going to look for some unpasteurized vinegar. This would make a great Christmas gift — next year. John, I am sure it would be readily available at health food stores. I have visions of you in your white lab coat and clipboard going round all your experiments every week 🙂 . I’m beginning to think that just tipping some cider into a half empty bottle of cider vinegar wasn’t perhaps the correct way to make vinegar. To the contrary Anne, In essence, that is exactly what I did. As long as the cider vinegar you use is not sterile ie it has some mother in it, it will work. Back in the day before I knew about such things I threw out a bottle of vinegar with a blob in it… silly me. I also went through a phase of drinking organic cider vinegar with water, to stabilise my blood sugar. But I went back to my early morning lemon juice and hot water. And then there is plain water to be drunk, and various herbal teas… The G.O. did also comment (happily) re the variety of vinegars we have on hand… he just wanted some for his chips. Hi Ella, Do you think drinking cider vinegar everyday made a difference? No… it’s hard to quantify because everyone is different. For me it’s what I eat, with what, and when that makes a difference, and I enjoy the lemon + hot water first thing 🙂 And I think my body has made up its mind to be what it is… I’ll never look like a supermodel. How very, very interesting! 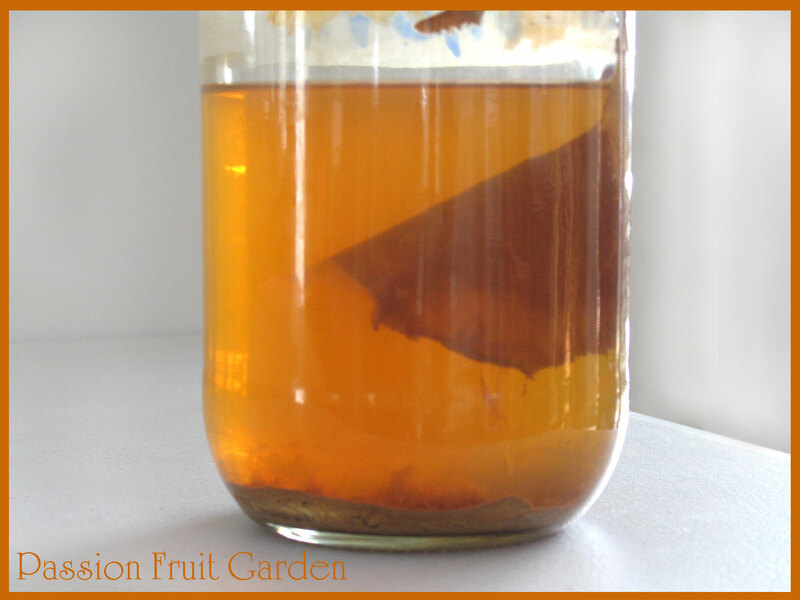 I used to take an organic cider vinegar in water every morning…. have a killer sore throat right now, perhaps it would do wonders for me again. Thanks for a great post. Hi Liz, do you think it did any good?